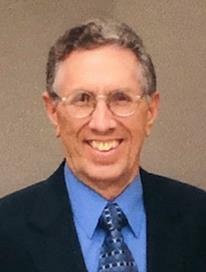 Robert Nelson Kinsey, Jr., age 83, of Mayes Chapel Road, Lebanon, passed away at 9:08 a.m., Saturday, February 23, 2019 at his home. A native of Mineola Long Island, New York, he was born on August 23, 1935 to the late Robert Nelson, Sr. and Majel Clair Raynor Kinsey. He was a member of the St. Augustine Catholic Church and was a retired employee of Tampa Electric Company in Tampa, Florida. Survivors include his wife, Carolina Marie Capozzoli Kinsey; two daughters, Jeannine Marie Bishop (David) of Jacksonville, FL and Tina Louise Ray (Ronald) of Winter Haven, FL; two sons, Kenneth Robert Kinsey of Lebanon and Michael John Kinsey (Cheryl) of Bradenton, FL; eight grandchildren; four great grandchildren; a sister, Arleen Schaefar of Boise, Idaho and a brother, Harold Kinsey (Dale) of Seminole, FL. A Mass of Christian Burial will be held at 11:00 a.m., Wednesday, February 27th at the St. Augustine Catholic Church. Visitation will be after 10:00 Wednesday morning at the church.